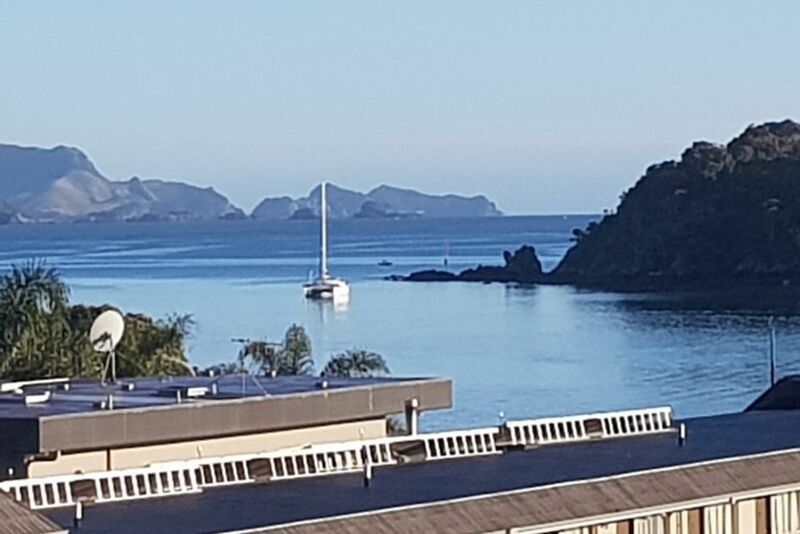 Set in the Heart of the Bay of Islands this elevated and spacious Holiday Home is situated 100m from Paihia Beachfront , a short 2minute stroll to the village centre, maritime wharf and passenger ferrys to Russell. Superb tranquil water views from living room and master bedroom. Ideal for small or large group gatherings and celebrations of a mature nature. Family friendly with self contained downstairs apartment for extended family and friends available for group bookings over 8 persons. Ample parking for boats, jet skis, visitors and campervans. A 3 min drive to nearby historical museum treaty grounds, golf course, bush walks and waterfalls. There is a good view for accommodation. But TV is not able to work.